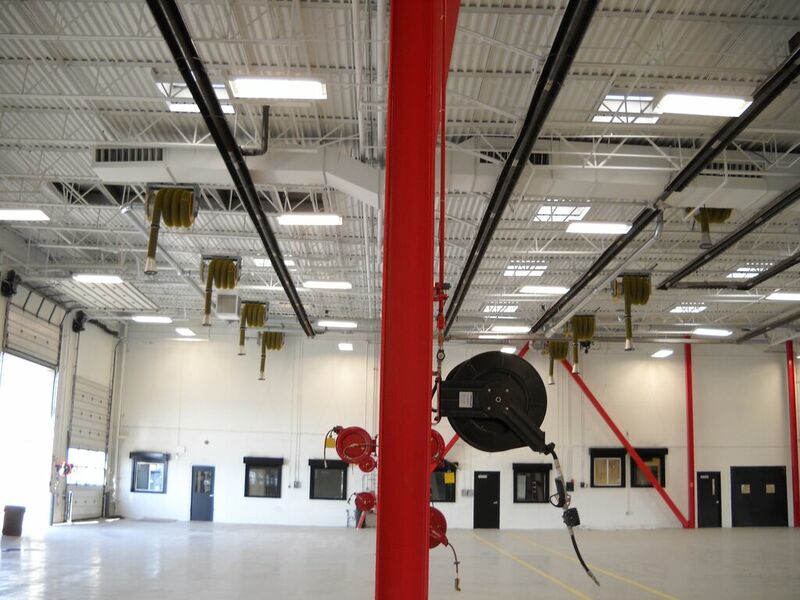 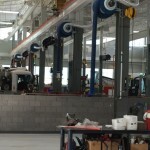 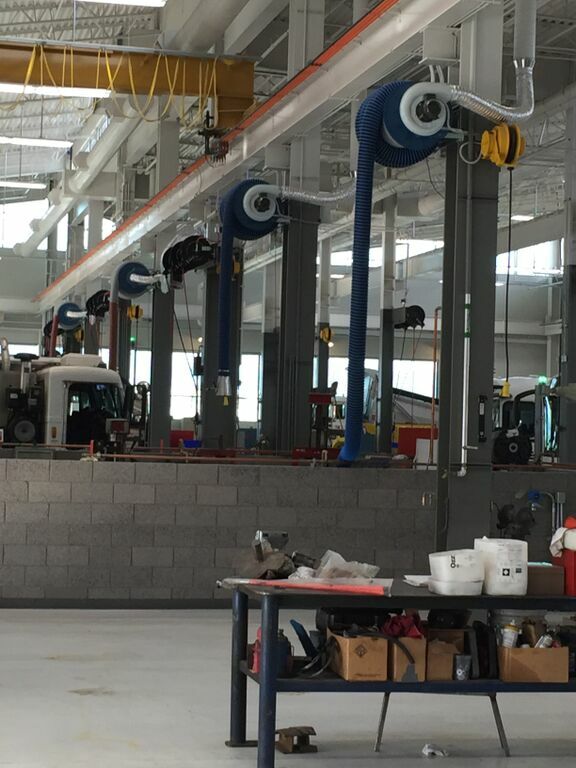 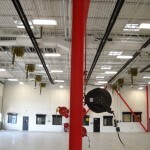 Vehicle Exhaust system designed for government facility with 16 vehicle drops. 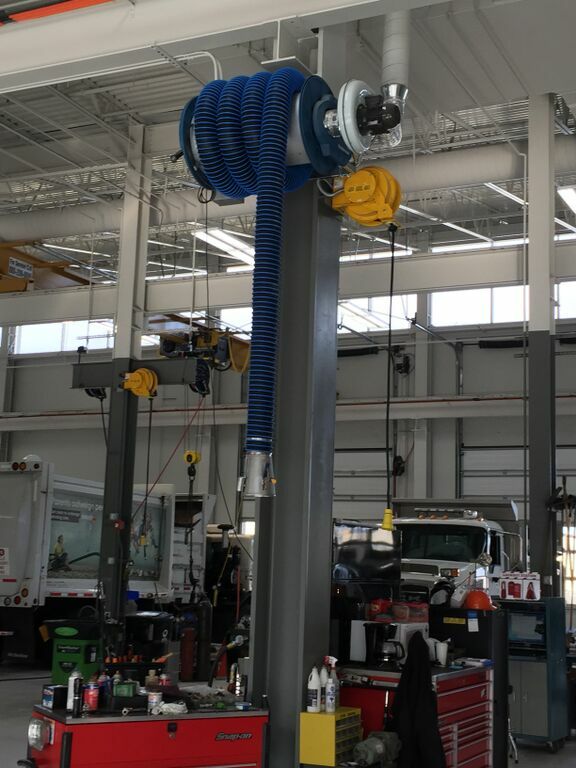 Vehicle Exhaust system designed for vehicle repair facility with 9 vehicle drops. 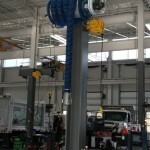 Ducting system to 3 motor blower units.